The far left is getting crankier by the day as President Trump continues to broaden his support among voters and push back the anti-Trump forces who would rather see America fall. 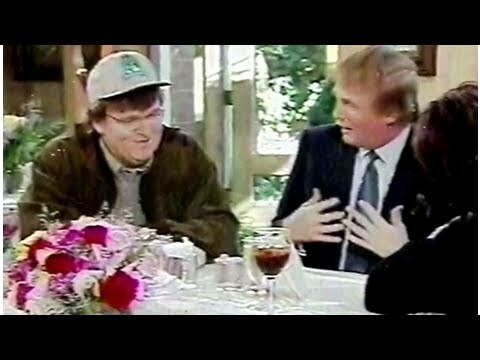 Case in point is Michael Moore who, after a brutal week of box office flopping for his latest attempt at filmmaking, Fahrenheit 11/9, is condemning Americans for not wanting to see his film and calling them Nazi enablers. Don’t try to make sense of any of it. Mr. Moore is just now coming to terms with his long-time irrelevancy. The big guy is washed up. Like the rotting wet corpse of a whale. The question now is who paid for Mr. Moore’s trip there? Moore is notoriously stingy and has a longtime habit of showing up to such events after negotiating a fee to do so. Did he collect a fee for this? Who provided transportation? Was it the DNC? The Hillary Clinton campaign?